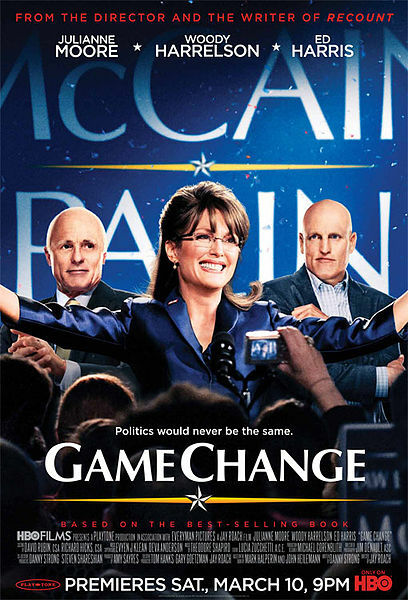 From the Archive: HBO’s “Game Change” shows John McCain’s presidential campaign recklessly picking Alaska Gov. Sarah Palin as his running mate and then learning she lacked basic knowledge about the world. 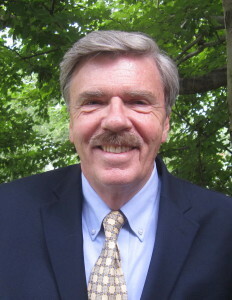 However, as Robert Parry reported in 2008, the campaign still went for the jugular against Barack Obama. From Republicans at political rallies to GOP lawmakers on TV talk shows, McCain-Palin supporters are angry, very angry and they seem to think their anger justifies whatever they do: from calling Barack Obama a “terrorist” to shouting “kill him” and “off with his head” to getting huffy when their violent rhetoric is challenged. They’re even angrier now after Rep. John Lewis, D-Georgia, a veteran of the civil rights movement, chastised John McCain and Sarah Palin for whipping Republican crowds up into the kind of fury that can set the stage for murder. Lewis, who marched and bled with Martin Luther King Jr., accused McCain and Palin of “sowing the seeds of hatred and division” in a way reminiscent of Alabama Gov. George Wallace, who rallied white anger against black civil rights advances in the 1960s. So, the Republican Party, which built its recent political dominance on what Richard Nixon called the “Southern Strategy” and which held a 2008 national convention filled with mocking references to Obama as a “community organizer,” was the real victim here. Yet another reason to get angry. Based on the reactions to Lewis’s statement, it appeared the McCain-Palin campaign took no responsibility for the latest shout-outs about killing Obama and saw no connection between Palin’s incendiary rhetoric that Obama “pals around with terrorists” and the violent anger that was bubbling up among right-wingers. The McCain-Palin campaign slogan may be “Country First,” but the behavior often looked like “Country Be Damned.” There seemed to be no concern about what would happen to the United States if the angry victimhood of the McCain-Palin crowd, mixed with suggestions that Obama is a closet terrorist, might encourage some nut to take a shot at Obama. As angry as the Republicans are though they’d held the White House for eight years and dominated the Congress from 1995 to 2007 did anyone stop to think that other Americans might get angry if it was perceived that the Republicans maintained their power in 2008 through violence, racism or dirty tricks? Did the Republicans expect a repeat of Election 2000 when they overrode Al Gore’s victory in the national popular vote, dispatched rioters to Florida to disrupt the Miami recount and then had five Republican justices of the U.S. Supreme Court hand the White House to George W. Bush while Democrats mostly sat by quietly? In fall 2008, millions of Americans rued the day that Bush was ushered into the White House as they looked out over a wasteland of national opportunities squandered. Instead of a vibrant economy, plentiful jobs, a robust stock market, a swelling budget surplus, a nation at relative peace and worldwide admiration they saw an economy in shambles, massive job losses, a stock market in free-fall, record deficits, two open-ended wars and global disdain. Many of those Americans not only had their vote effectively nullified and their political judgment ignored but they suffered real economic damage. Some found themselves out of work while others opened statements on their retirement funds in October 2008 to find they have lost much of their life savings. Yet, these Americans remained relatively restrained. They didn’t go to rallies and shout death threats about the Republican ticket. Nor were Barack Obama and Joe Biden whipping up crowds with accusations that their opponents were disloyal. No, the anger was disproportionately among the Republicans. McCain and Palin turned their rallies starting with the Republican National Convention through joint appearances in October into anti-Obama hate-fests, leading to taunts of “terrorist,” “socialist,” “traitor” as well as racial epithets, the repeated invocation of his middle name “Hussein,” and suggestions on how to eliminate him. The anger spilled over into events connected to other races. At a Georgia Senate debate on Oct. 9, Republican partisans in the crowd booed the mention of Obama’s name and a woman yelled out, “Bomb Obama,” the Associated Press reported. McCain and Palin stoked these fires with the inflammatory McCarthyistic tactic of exploiting Obama’s tangential association with William Ayers, who four decades ago was part of a violent anti-Vietnam War group, the Weather Underground, but who had been living a constructive life since the mid-1970s as a college professor and expert on education policy. Obama crossed paths with Ayers when the two were put on a board for the Chicago Annenberg Challenge, a program for educational excellence launched by the staunchly Republican (and pro-McCain) Annenberg family. Though Obama’s ties to Ayers appeared to be trivial (he also hosted a tea for Obama’s first state senate race), McCain and Palin have used what lawyers would call “prejudicial” evidence, playing up minor facts that are intended to inflame a jury. The Obama-Ayers guilt by association was almost as crazy as suggesting that Obama palled around with violent white racists because when Obama entered the U.S. Senate in 2005 he sought advice from Sen. Robert Byrd of West Virginia, who had been a member of the Ku Klux Klan as a young man. Similarly, one could go back through McCain’s connections to radical right-wing groups during the 1980s when he listed himself as a supporter of the U.S. Council for World Freedom, which was affiliated with the World Anti-Communist League, a haven for neo-Nazis, racialists and “death squad” operatives. Or there are Sarah Palin’s links to the Alaska Independence Party, a group whose leader has denounced the United States and advocated secession from the Union. Palin has spoken on behalf of the party, where her husband Todd was a member. Indeed, those connections were more relevant than the Ayers’s guilt-by-association tag since they involved direct actions by the principals, not what some other person did in an earlier phase of his life. Nevertheless, the McCain-Palin ticket seized on Ayers as a central argument against Obama, using highly inflammatory words like “terrorist” and “lie” in a current TV ad. The GOP campaign also twisted an Obama comment about Afghan War strategy into a slur against American troops. With this pattern, it was hard not to conclude that the McCain-Palin campaign was either willfully feeding red meat to its angry base as a political tactic or hoping to exacerbate doubts among white voters about an African-American candidate for President. In either case, the American people might be more reasonably angry at John McCain and Sarah Palin for resorting to such ugly tactics and putting the nation at grave risk for their personal ambitions. What bullcrap!! Those comments were never stated at any rally at McCain’s Campaigns. Just because you repeat the LIES, doesn’t make them true. Lewis is a LIAR! and a political hack.. The Palin audiences got excited about her and the anger and HATE exists on the LEFT. The HBO movie proves it. The LEFT lives in LaLaLand and the American people will never believe the Sarah Palin they portray. They have never seen the person they describe and everything in their narrative of her has to be behind close doors where her real handlers stated it never happened. Either that the movie made up dialogue where no one person will go on record as saying those words were actually stated, and every interview they claim was a problem was seriously edited. You need to do your due diligence homework before you write your next reply. Fact: The movie was based upon a book that was verified as factual. Further, video records of both McCain and Palin spouting their vile provocative words are irrefutable. You only expressed your “beliefs” about how you want to believe, none of which was based upon facts. Stop whining and do your homework before you next write a reply or open your mouth. 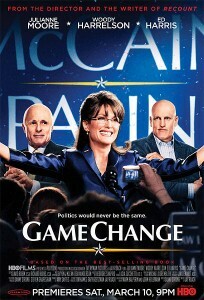 Palin and McCain sabotaged their own 2008 campaign. 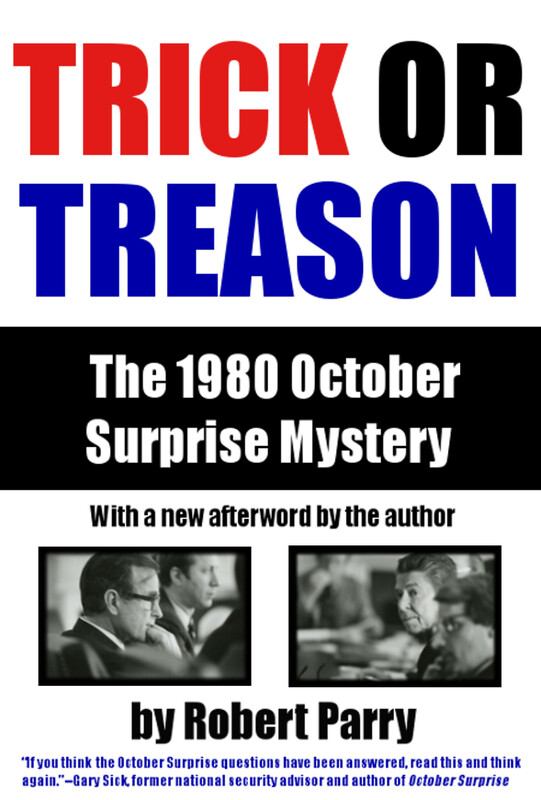 And, sorry, but given the very public antipathy that McCain’s fellow prisoners of war in N. Vietnam have to this very day expressed about him- including their repeated statements that he collaborated with the N. Vietnamese and made over 30 videos for them in exchange for preferential treatment when he and his fellow prisoners were incarcerated together- one has a right to question whether, or the extent to which, he was a true war hero (though one does not question his fact of his extended suffering during that terrible period). One might also wonder whether he and Lindsay Graham were truly sincere when they opposed the Bush policy of torture. Since that time they have been silent about Wikileaks’ disclosures of torture in Iraq, and the torture (solitary confinement – just like John McCainâ€™s, and which John has called torture) to which Bradley Manning has been subjected. Instead they have brazenly and shamelessly advocated that Manning and Julian Assange be prosecuted, convicted of treason, and executed or imprisoned for life. So much for the presumption of innocence before trial- though during the Vietnam War, they used to say military justice is to justice as military music is to music. Poor John, poor Joe, poor Carl…….. poor us. Furthermore, on the pretext of protecting our nation’s “cybersecurity”, McCain and his co-conspirators have been proposing legislation so overbroad that it would also allow the government to shut down the internet to prevent Americans from accessing sites like Wikileaks on the web. (So much for lecturing the Chinese about â€œdemocracyâ€ and “human rights”.) In this regard, it is ironic that the Administration has had in place- and even fired some for violating- a strict policy barring State Department employees (and, one presumes, other federal workers) from accessing Wikileaks, whether at work or on their own computer at home- even though the site and documents disclosed are available to the rest of the world. One wonders why the Administration would be willing to keep employees who should be the best educated about such matters in the dark- and shoot itself in the foot and look like a â€œGeneral Bobo” in the process- when everyone else is in a position to know. How different is this from the thought control exerted by the Church Inquisitors during the Middle Ages and Reformation? Maybe the difference is only in the form of punishment? May Monty Python return to make some shorts and movies about this one- e.g., not the “Minister of Silly Walks”, but the “Silly Minister (Hillary, of course) of Talks Who Doesn’t Know How or Why to Walk”. Or, maybe even Woody Allen will take a break and make another film about this McCarthyite lunacy. So, would you trust McCain with his finger on the nuclear button? I think the Imams in Iran are more â€œrationalâ€ (to use the word chosen by Meir Dagan) than John, Joe and Carl. 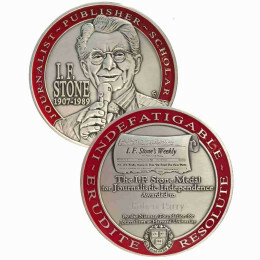 Maybe the best way to fight this nonsense is both with the weapons of sober and unvarnished truth in solid insightful fact-based articles by experienced professionals of the highest standing- e.g., in journals like Consortium News- so that at least someone gets it right and others can learn from it- and on the other hand, some measure of outlandish humor that proves out the lunacy of it all as a matter of Kantian â€œcategorical imperativeâ€ (for those who don’t read anything other than comic books). Both can in their own way inform the public, and in the process hopefully erode the credibility of those who have been bringing down our nation, and change the hearts and minds of the 99%. Though, in the end, I suppose, one must still differentiate Obama from the Republicans, as Bob Parryâ€™s article on McCain has implicitly done. While there still is a difference, unfortunately, in some sensitive areas, at least, it is getting harder and harder to find. Bravo! Brilliant response to Robert Parry’s brilliant article! I will happily copy/paste both the article and this response to send out to my long list of independent “critical thinkers” who are NOT indoctrinated brainwashed believers of political BS dogma. put out by the “dark force,” literally, to manipulate millions of dumbed-down apathetic gullible and ignorant Americans.